Perlis is the smallest state in Malaysia and it is located at the most northern part of Malaysia. Its border is Thailand and Kedah. Kuala Perlis is the gateway to Langkawi. Travelers can take a ferry from Kuala Perlis to Langkawi. Langkawi travel guide encompasses beautiful beaches as well as a plenitude of activities to keep you entertained while on holiday. Langkawi has a tropical climate and the average temperature is 32 degrees C, making it a good destination for a beach holiday. 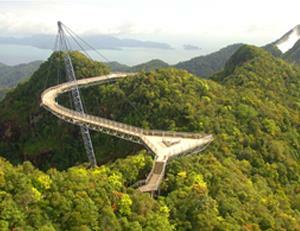 Langkawi is rich in culture and natural scenery. Legends give an air of mystery to the local attractions. Langkawi beaches draw sun lovers from across the globe. The sandy beaches stretch for miles along the ocean. Pantai Cenang is a popular beach which is three km long and the beach is situated close to the airport, making it easy to access. Around Pentai Cenang there are many different accommodation options including a variety of resorts. Pentai Tengah is a smaller beach that offers an escape from the crowds. Water sport facilities are available, including boating. Located in Pantai Tengah is Underwater World where visitors will be dazzled by a variety of marine life. It is here that you can see tropical fish species as well as sharks and stingrays. The Rice Garden offers information on rice and its important role in Asia. There is a small museum and a restaurant located on-site. 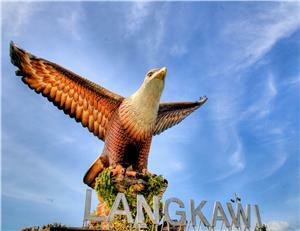 Langkawi has three golf courses including Langkawi Golf Club, Golf Club Datai Bay and Gunung Raya Golf Resort. These 18-hole golf courses offer a peaceful venue to play golf and admire the natural surroundings whether it be views over the ocean or mountains. Tour companies offer snorkeling outings and snorkeling gear is provided. There are beautiful coral formations to be seen as well as different species of fish. Scuba diving tours are also available and you will get a guide to ensure that you have an enjoyable dive. The sailing conditions in Langkawi are good and the region is popular area among sailors. The Langkawi Regatta draws international sailors. There are four marinas and facilities for boats. The Mutiara Bay Equestrian Center offers guided horse rides through Langawi for both adults and children. This is a good way to explore the local area and enjoy the scenery. Bowling is another option for a fun activity and Ampang Superbowl offers bowling facilities. For more information about Bus to Kuala Perlis, check out details from us today!